Jeffrey Dungan is not a fan of formal, imposing architecture. He’s the first to admit you won’t find him designing a Georgian or a Greek Revival. 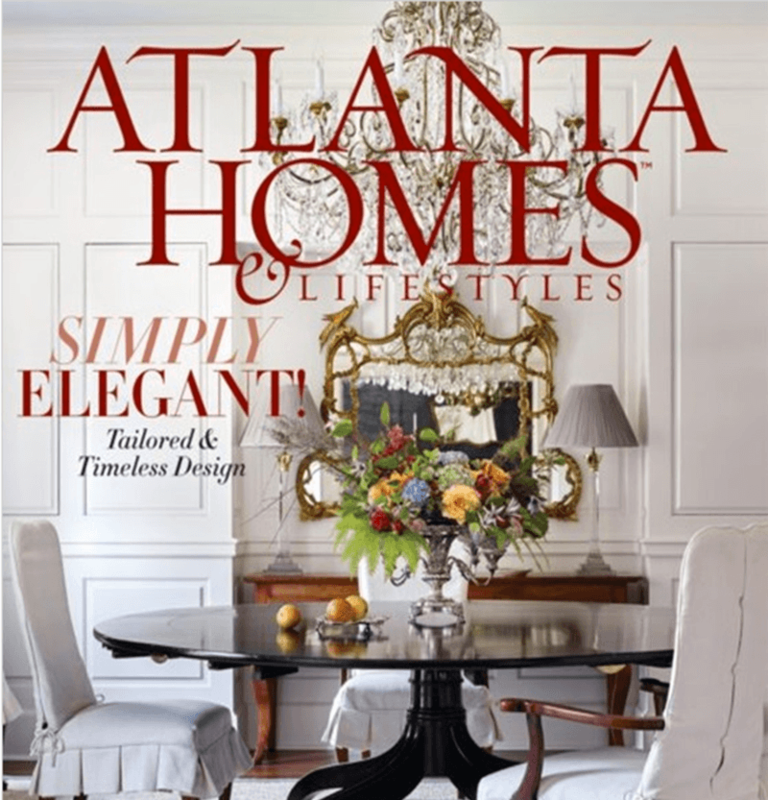 The Birmingham-based architect is far more enchanted by humbler proportions. A self-described “closet modernist,” Dungan says it is the Arts & Crafts movement—and the work of talents Edwin Lutyens, C.F.A Voysey, Charles Mackintosh and Bernard Maybeck—that gives his heart levity. However, his houses have never been specifically that. Unlike traditional Arts & Crafts, they’re light and bright inside. Their interconnected volumes are unpredictably proportioned, with layouts that feature strong axial relationships between rooms. Second floors—if his houses have them—are tucked under low-pitched rooflines. 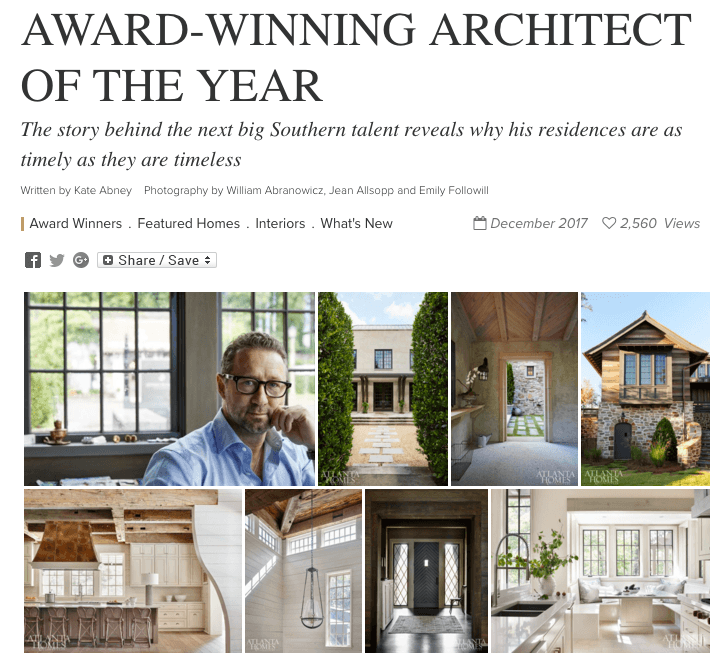 Throughout his almost three decades of practice, this ingenuity and charm has earned Dungan a multitude of devotees and critical acclaim—most recently from ADAC and Veranda, who named him Southeast Architect of the Year in spring 2017. All worthy praise considered, the Alabama native has managed to stay somewhat under the radar—at least to Atlantans. Perhaps that’s because, beyond never having completed a project in Georgia, Dungan rarely works in his home state. Yet the scope of his portfolio is vast, spanning the Americas from Nova Scotia to The Bahamas, Chicago to Los Angeles, and even as far afield as Ireland. But regardless of where his journeys lead him, Dungan’s inspiration always goes back to his passion for the site. “The earth tells me what I need to do,” says the architect, who is personally writing the text of his debut tome, to be published by Rizzoli and released next fall. One of the strongest hallmarks of his artistic perspective manifests in windows—how they embrace natural light, allow viewers to take in the natural world “from a safe vantage point” or offer tightly focused peeks into it. The other is material: tactile and contextual applications of tumbled fieldstone, copper, steel, marble and wood (including reclaimed and ebonized)—rarely in the same combination or mood. “What’s fun to me is to have high and low, something very rustic next to something very sophisticated, a material that’s very raw next to something very polished,” says Dungan, whose residences define the terms disarming, grounded and approachable—like a blazer paired with denim, like Dungan himself.